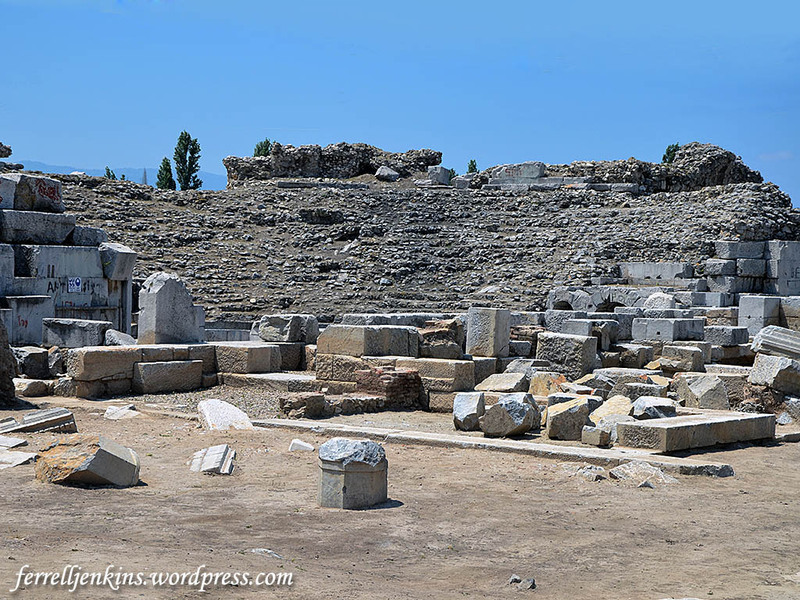 Nicea, now identified with Iznik, Turkey, was in the Roman province of Bythinia in Asia. 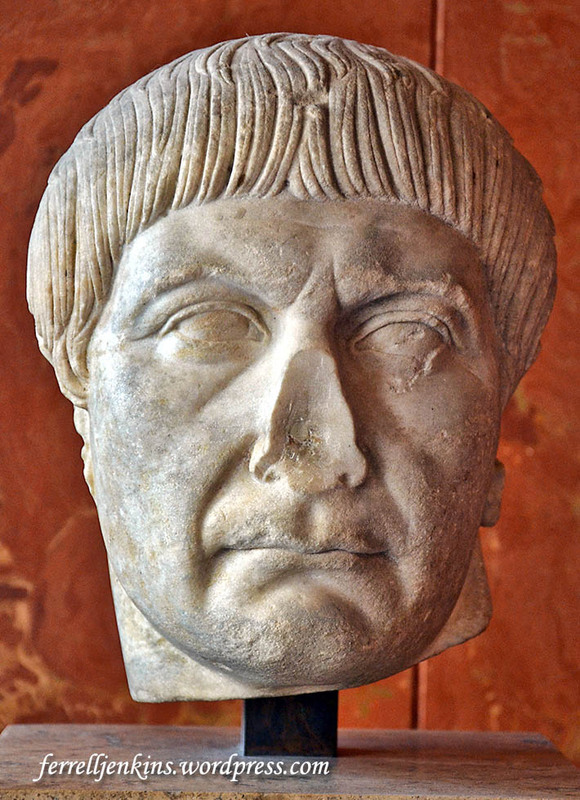 A Roman lawyer named Pliny served as governor of Bithynia and Pontus (A.D. 111-113) and exchanged a series of letters with the Roman Emperor Trajan (A.D. 98-117). … was converted into a mass graveyard in the 13th century. The graveyard was later replaced by the ceramic kilns. Only some part of the cavea (audience section) of the ancient theatre have survived to the present day. It appears that its stones were used as construction materials especially in the restoration of the city walls. The theater is estimated to have seated 15,000 persons. Ruins of the theater dating to the reign of the Emperor Trajan. Photo by Ferrell Jenkins. Emperor Trajan (A.D. 97-117). Louvre. Photo by Ferrell Jenkins. 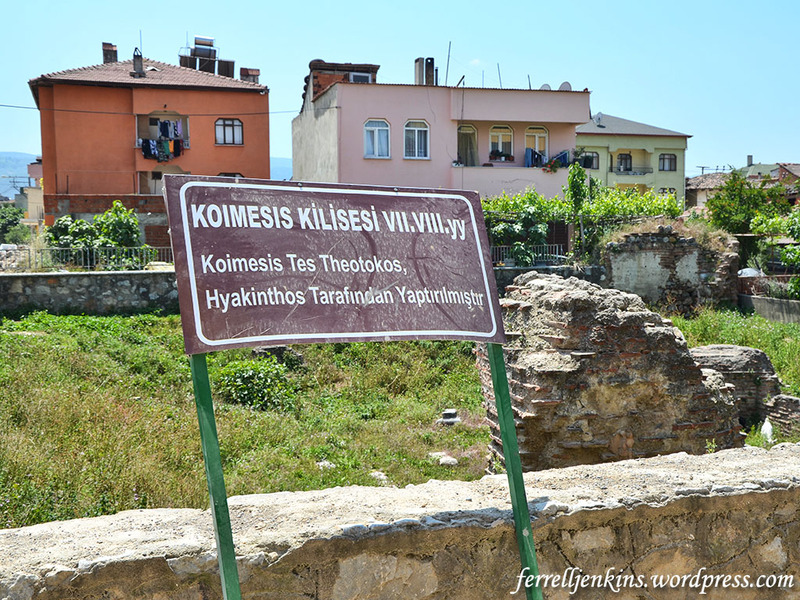 There are ruins of a few churches (meaning “meeting places”) in Iznik. No doubt many ruins are under the buildings of the modern city, but the area pictured below marks the site of the Dormitian of the Mother of God (Theotokos = God-bearer). At the Council of Ephesus in A.D. 431 “Theotokos was approved as a right title for the Virgin Mary” (Peter Toon, The New International Dictionary of the Christian Church, p. 344). Sources such as Philip Schaff provide much more detailed information for those interested. Sign at site of Dormitian of the Theotokos, built by Hyakinthos. Photo by Ferrell Jenkins. If you have traveled much in the Middle East you have likely seen several sites associated with the dormitian of Mary, the place where she went to sleep before being assumed into heaven, according to Catholic and Orthodox theology. Our guide for the day to Nicea/Iznik waits for us to make our photo before entering the few remaining ruins of the church. Guide waiting to take us into ruins of the Dormitian church. Photo by Ferrell Jenkins. 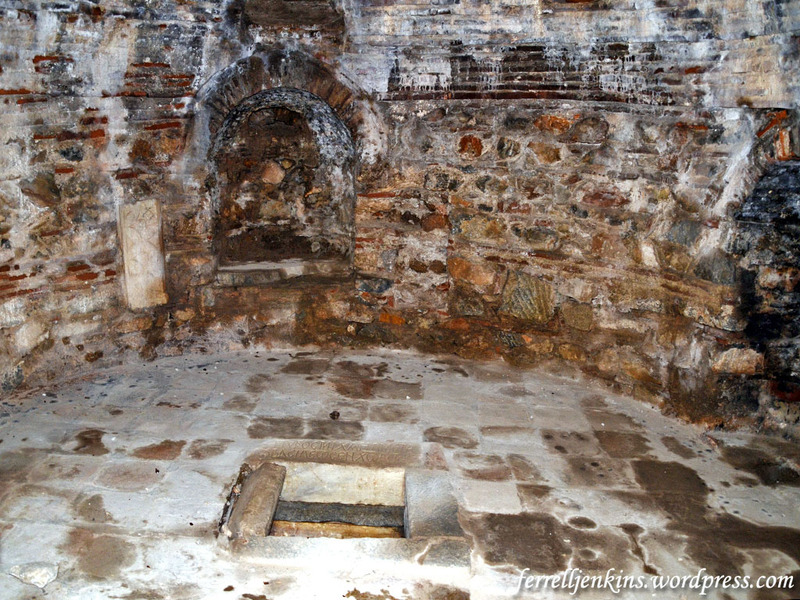 Dark remains of the Dormitian church of the Theotokos. Photo by Ferrell Jenkins. In Part 7 we will move to a few of the modern buildings of Iznik. 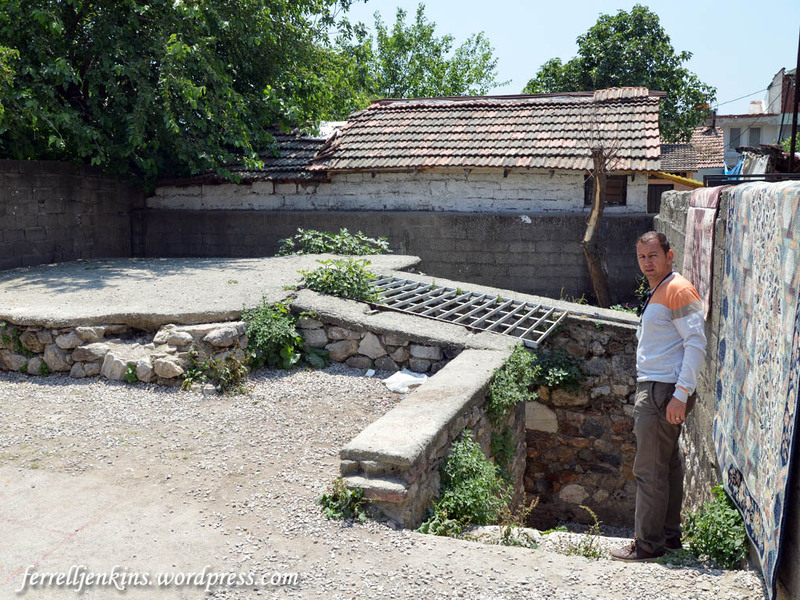 This entry was posted in Bible Places, Bible Study, Church History, Photography, Travel, Turkey. Bookmark the permalink. This is so interesting , thank you! !